Google's popular browser gets more secure with Windows Defender plug-in. Google Chrome is now richer for a new security plug-in, and this one is from Microsoft. Chrome users can now add the Windows Defender anti-phishing plug-in, which both companies hope will help Chrome users stay safe while browsing the web. The plug-in is free to download and can be found in the Chrome store. It was said that it will not conflict with any other security measures one might have set up on a computer, nor will it interfere with Chrome's own built-in protection. If anything, it should complement it. "The Windows Defender Browser Protection extension for Google Chrome allows you to add an additional layer of protection when browsing online, powered by the same trusted intelligence found in Microsoft Edge. The extension alerts you about known malicious links, and gives you a clear path back to safety." Keep in mind that this plug-in is not for users running Chrome OS, but rather those running Chrome browser on a Windows operating system. Its main goal is to protect users from a set list of known malicious links. 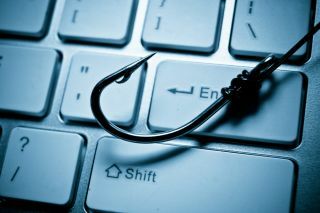 Phishing is generally considered one of the biggest cybersecurity threats nowadays. Malicious actors will frequently send fake emails, claiming to be the victim's bank or the tax service and add a link, calling the victim to action. Once the victim clicks the link, there is a possibility he / she would download a form of malware.